Since this is Kristin's wedding week I thought this post would be appropriate! A few weeks ago I had the pleasure of co-hosting a Lingerie shower with my friend Sarah for my friend Kristin! We ended up having so much fun and silly me only took a few pictures of the decorations and didn't have my camera handy for snapping a few photos of Kristin opening her gifts! But that is pretty personal ...not sure she would have wanted me to show you what she may wear on her honeymoon anyway! These were the invitations I made for the event with the help of my amazing bow tying friend Amy C. Thanks Amy!! Above are the cookies I made for the occasion! They turned out better than I thought they would at the expense of my mixer (RIP)! This shower was so much fun planning! 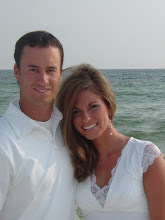 I am so excited to see Kristin & Jason say "I do" this Saturday! She will be such a beautiful bride! UPDATE on my cousin Bill: It has been confirmed that his cancer is in a Stage 3 at least (possibly a Stage 4)! His surgery is scheduled for April 6th! Please continue to pray for him, doctors & his family! Blessings to you all this week!!! Hey friends!!! It is with a heavy heart I ask you to pray for my cousin Bill! He & his family are in great need of any and all prayers possible. Bill is my cousin Michelle's husband. 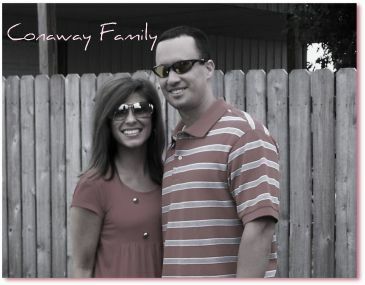 They are a young couple that live in Jonesboro...they have three children. Their oldest Meghan just got married this year,Halie is in high school and the youngest Hanna is in jr. high. Bill has just been diagnosed with colon cancer and is in Houston undergoing many tests! They are trying to figure out how far the cancer has spread and now are concerned with the pancreas! Bill & Michelle are strong and they are trusting in God for a complete recovery as am I! I know there are some mighty prayer warriors that read this blog and I ask you to please pray for Bill, his family & the doctors that are taking care of him! I want my cousins to be able to experience more of this life with their father...to seek him for advice, to have him walk them down the isle and to just be able to give him hugs and kisses! I am a daddy's girl & know how special even a motorcycle ride with your dad can be and still enjoy those welcome home hugs when I visit! So, THANK YOU for praying for Bill! Even if it is small...thank you! God knows what he needs, he just wants us to ask and seek Him! TO GOD BE THE GLORY!!!!!!!!!! I know, I know! 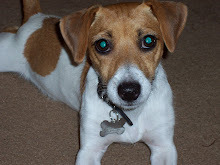 It has been a while since the last blog...and lots have happened since then! That serious ice storm we were supposed to get...we got and it was indeed serious! We were without power for 48 hours which is a blessing compared to some. 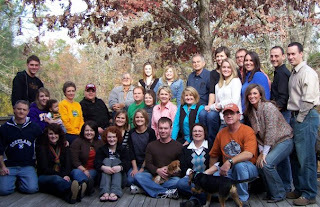 We had between 14 & 17 people at my mother-n-law's house sleeping and roughing it! As well as three dogs at one point! It was interesting, to say the least! My sister-n-law, husband and baby just moved here one day before it all hit and they were supposed to be staying with his mom until their house sells...well they ended up with us for 12 days...that is as long as they were without power & water since they have well water! So, needless to say that ice storm threw off my schedule and am still not sure I am back to myself 100%! This has taught me that I do not want to live out in a rural area and I don't want too many trees! Since then I have been overwhelmed with school - this semester seems to be a weird one. I am enjoying my clinic placement just not enjoying classes very much! And I feel behind because I should already be studying for comps and well that hasn't happened yet! OH my I am sooooo ready to graduate and be a normal adult! 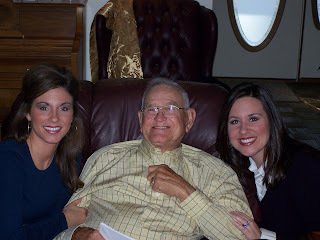 A few weekends ago I did have the opportunity to go visit my Grandpa for his 85th birthday! He is one amazing, godly man! I look up to him so much! He is special, his take on life is incredible and I aspire to be like him! I have been in Sheridan the past three weekends! (Ashley Scott, Jeff & I passed you and Joe while we were in town on Saturday! You were yawning! ha!) The first of the three was G randpa's birthday, the second was Kristin Freeman's wedding shower weekend extravaganza and last weekend our GCT basketball team was in the State Championship game so we stayed the night with mom & dad to keep from making in an all day Saturday trip! 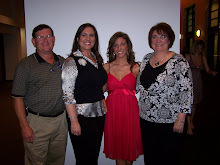 It sure has been nice getting to spend that time with my family! They are truly a blessing to me and I love seeing them every chance I am afforded! Next weekend we are headed to Springdale for a bitter-sweet trip! 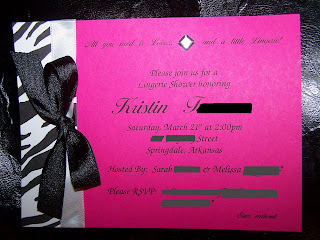 The exciting part is that I am throwing Kristin Freeman a lingerie shower! I am so excited about this cause it will be so much fun! The sad part is that we will be moving most of our belongings from our home to prepare for some close friends to rent it! I sure miss that house and the memories we have had building, decorating and living in it! While building that house we were able to paint scripture on the floor (before the floor was laid) of each room; specific scripture and we walked room to room praying over that house and our lives in that house. I will always cling to our memories there and in Springdale. That is where Jeff and I grew so much in our marriage and really began our lives together. We moved to Springdale in the first six months of our marriage! I cannot believe that this July we will celebrate 6 years of marriage! Wow! Below is a photo of our Second home in Springdale!